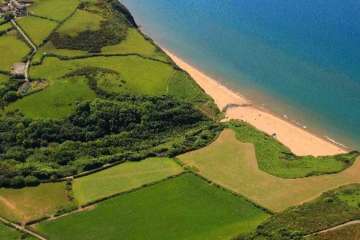 Penbryn beach is famous for being one of the few wide, sandy beaches in the UK to have not a single building on it. For this reason it has been used in a few films, including providing tropical beach scenes for a James Bond movie. 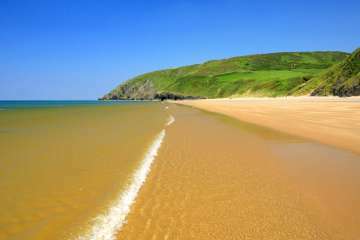 It is one of the longest stretches of unspoilt sand in Cardigan Bay, yet often one of the quietest. A couple of fields back you'll find a small smattering of traditional properties, but as the surrounding land is all owned by the National Trust there isn't a sense of 'coastal development'. 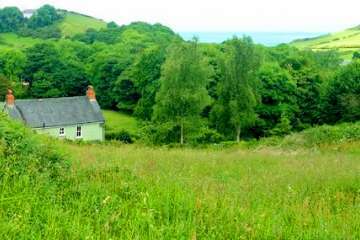 It'll take you ten minutes to walk down the well-maintained footpath to the sands from Penbont - a charming traditional stone cottage with 10 acres of private meadow and woodland. The house was recently redecorated and the lovely garden is (as ever!) a work in progress, but really this one is more about the location than the interior 'wow'. The surrounding fields have plenty of wildflowers and wildlife, and a short walk up the lane you will find St. Michaels Church, one of the oldest churches in Wales - with lovely views across the valley and back to Penbont. See a cute video review by 5 year old guest, Edward, or our Facebook album. 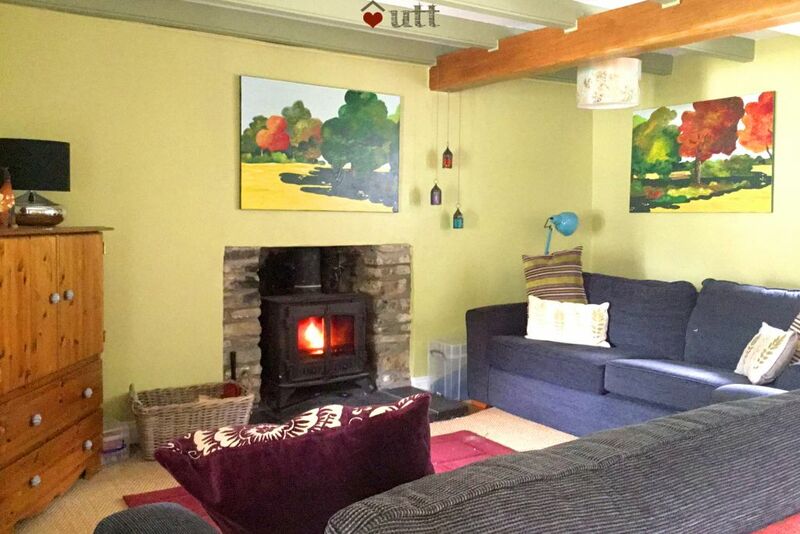 Heating throughout (night storage heaters) and a large woodburner in the comfortable lounge. 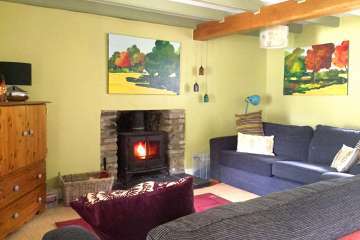 Lounge with 2 very comfortable sofas, wood (and coal) burning stove, Freesat, DVD player, Hi-Fi, broadband internet/Wi-Fi. Farmhouse Kitchen with traditional Rayburn stove and modern electric cooker, fridge with small freezer compartment, microwave and dishwasher. Table seats 6 comfortably. No washing machine. 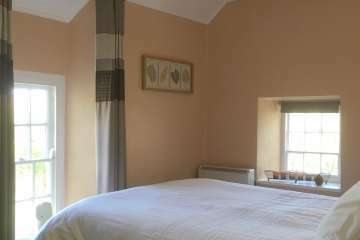 Bedroom 1: Double bedroom with windows on two sides and views to the lower paddock, farm outbuildings and to the old church. 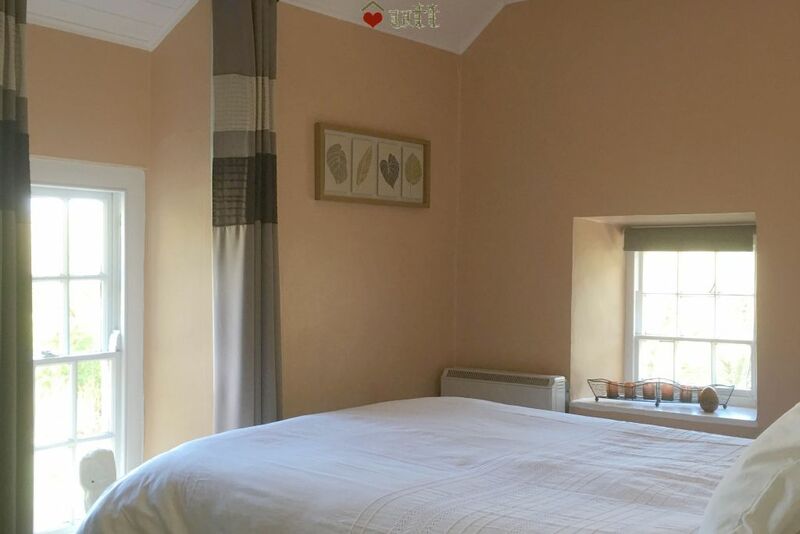 Bedroom 2: Double bedroom views to the lower paddock and terraced garden to the side. Family bathroom: of a good size with bath, shower and shaver point. Veranda to front of house, with bench and small cottage garden. Patio to the side with picnic bench and chiminea with barbeque grill. Further pretty terraced gardens. 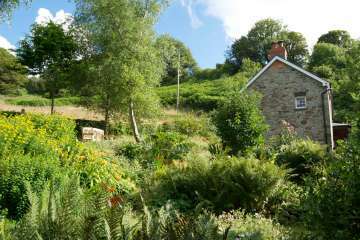 Meadow and woodland surround the cottage (10 acres in all to explore). Outbuildings: Old haybarn and cowshed. Parking max 4 cars. Lovely welcoming cottage great location. 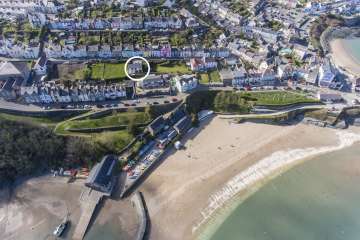 Lovely, well equipped cottage - and such a treat to be able to walk straight from the cottage to Penbryn beach or on to the coast path. An excellent weekend away. Penbont is superb. Clean and contemporary furnishings within a cosy Welsh cottage. 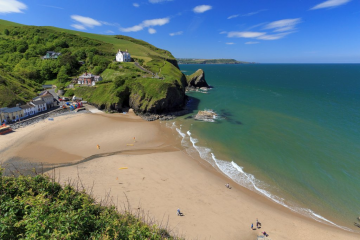 Penbryn beach a mere stroll away and Llangrannog and Mwnt not too far either. We will be back! We had a really lovely stay. It was the perfect location and we were very comfortable there. This cottage truly is a gem - we had the most wonderful week there. 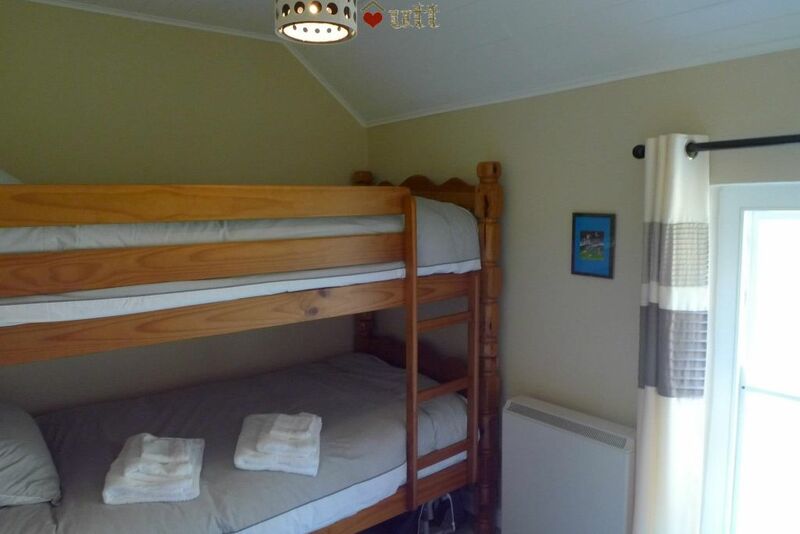 The house is surprisingly spacious for a cottage, which made is really cosy. 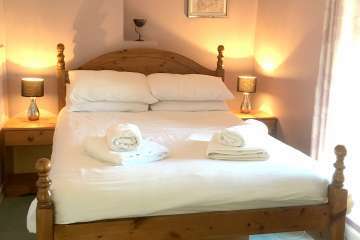 the furnishings and decoration are lovely, the kitchen well equipped, and the bedrooms very comfortable. We loved the location, the garden, and the vicinity of the Plymp Tart cafe. Worth mentioning that our toddler also had the best of times, and was very upset the we had to give up "our holiday house" after a week. We will be coming back. 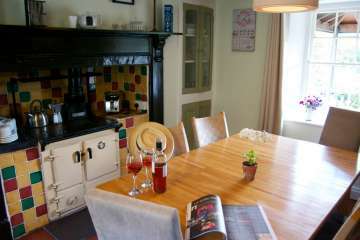 We had a fantastic week in this very well equipped and comfortable cottage. 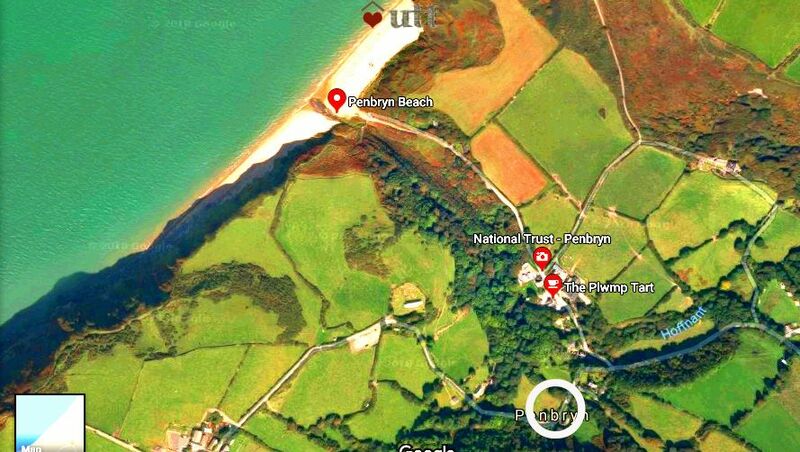 The location is amazing, being only 10 minutes walk from Penbryn beach. 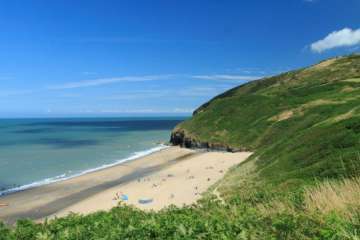 We did a couple of walks along the coastal path to Llangrannog and Tresaith and got the very handy coastal bus back. The sofas in the lounge are big and comfy. We lit the woodburner stove every evening, ( even though it was August! ). The garden is beautiful. We sat outside in the evening watching the sun go down and the bats flying around us. We felt so privileged, watching the visitors to Penbryn leaving in the evening, and we got to stay! We would love to come and stay here again. Thank you. The Roberts family. Penbont is such a beautiful cottage! It was the perfect setting for a really fab long weekend celebrating hubby's 40th birthday with the kids. Everything was super clean, and all utensils were thoughtfully provided. The location is stunning, with beach being so close. We got to the property very late on the Friday night and the owner had kindly arranged for the lights to be put on ready. We bundled the kids into bed and sat outside listening to the sea whilst bats flew around us. Magical. Thank you, we will be back soon! 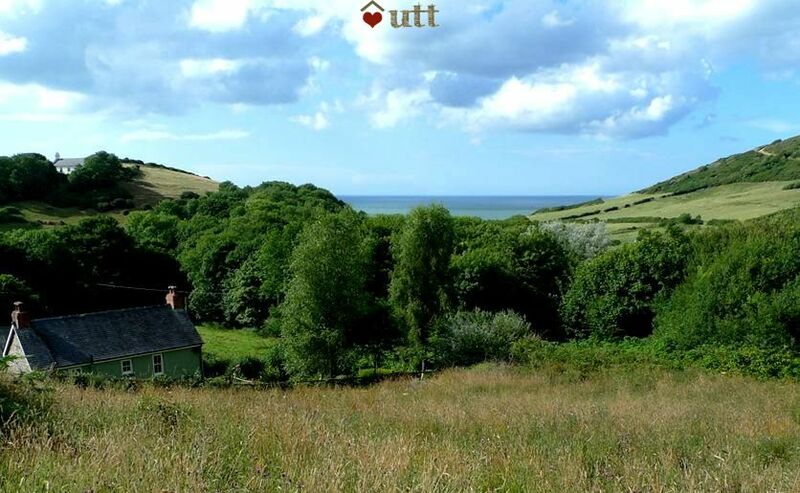 Fabulous cottage in a wonderful location. Super comfortable beds and sofas and a very efficient wood-burner (can't say the same for the range, though, which chewed through logs like an Australian forest fire and didn't retain heat for very long!). The "local" pub is a fantastic coast path walk - however, cyclists be warned that the climb back from there is granny gear for a mile! All in all a really chilled break and we're already looking for dates to return. We had such a fantastic long weekend at Penbont. 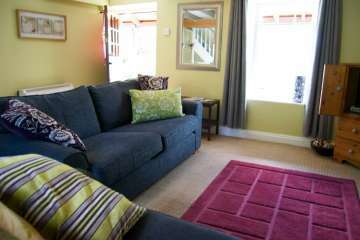 The cottage itself is cosy and comfortable and the location is just stunning. We abandoned the car to play on the beach and walk the coastal path in both directions. The pop up pizza night at the cafe a few moments from our front door was a very welcome surprise - loads of fun and fabulous pizza. The kids had great fun hunting for Easter eggs around the pretty garden and playing Jenga by the fire. We enjoyed a truly relaxing week at Penbont. 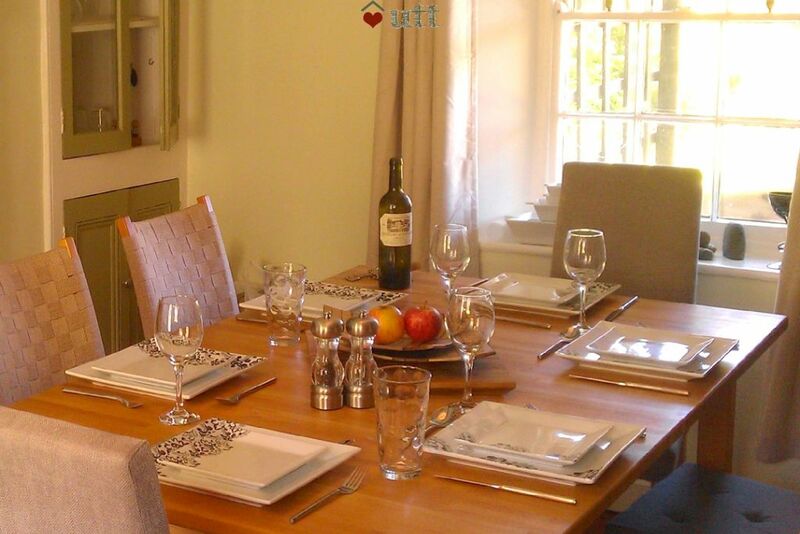 The house is comfortable and well equipped, with lovely gardens and in an exceptional location. 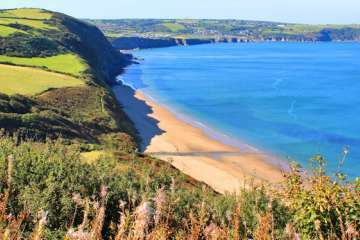 The magnificent views from the coastal path are within a short walk, so is the beautiful beach at Penbryn. Lovely! 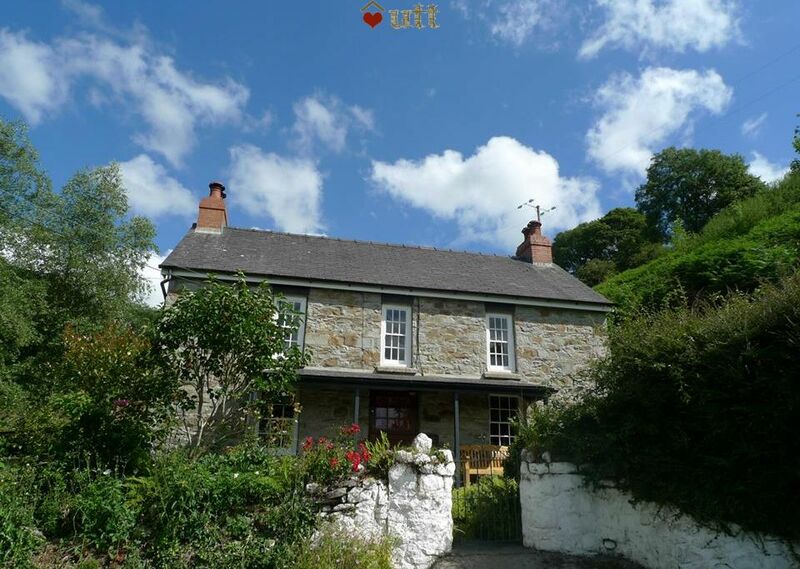 Beautiful location and we found the cottage very comfortable with character by the bucketful. A highlight was eating in the lovely garden while red kites soared overhead and two bluetits busily fed their brood in the outbuilding. 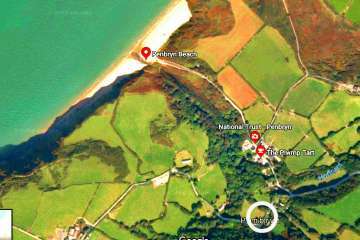 Penbryn beach was a short stroll away and on a late return we saw hundreds of bats flying from their Llanborth roost, before darkness brought a spectacular starry night sky. We hope to return. Loved our time at Penbont. Such quietness, peace and tranquillity. 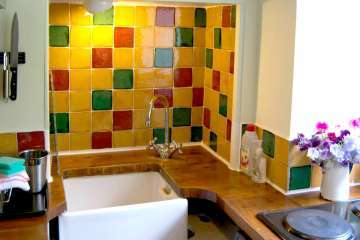 House is well equipped and very tastefully furnished. Garden a delight for sitting out on an early summer evening. Nearby beach is splendid and coastal path very much worth the effort just to see so many wild flowers close to and dolphins down in the sea. Lots to see and do in the surrounding area and good places nearby to eat, drink and buy provisions. Great place to stay for nature, beauty and solitude. 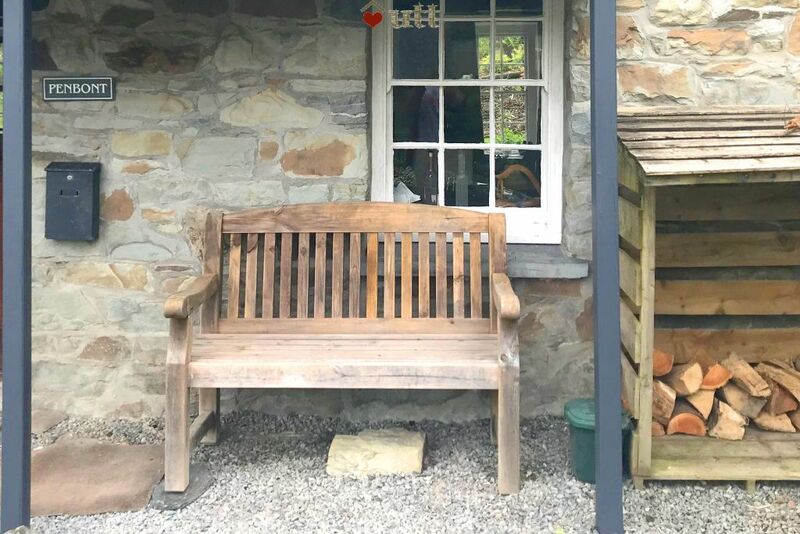 Another wonderful stay at Penbont. 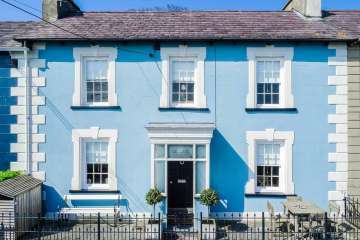 The location and house itself are the best we've ever stayed in - which is why this was our 4th visit in 2 years! The beaches on this coast line are superb. The cottage was lovely, really well appointed and secluded, down a country lane, but close to the beach. We had a lovely time and I would certainly be happy to visit here again...great views of the stars, no light or noise pollution. 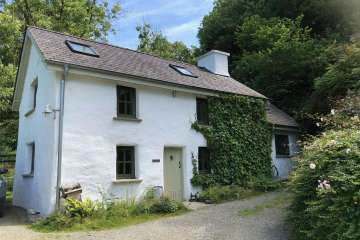 We had such a lovely holiday at Penbont - the cottage is beautiful and is in a truly wonderful setting. We were blessed with better weather than expected and took full advantage. 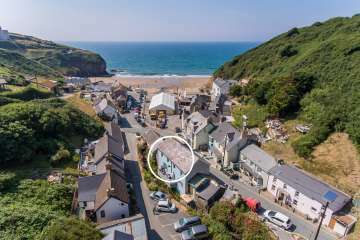 We spotted dolphins on a walk to nearby Llangrannog, and saw seals at Mwnt bay and every day we got to come home to this lovely cottage - all in all, a gorgeous week in Penbryn! 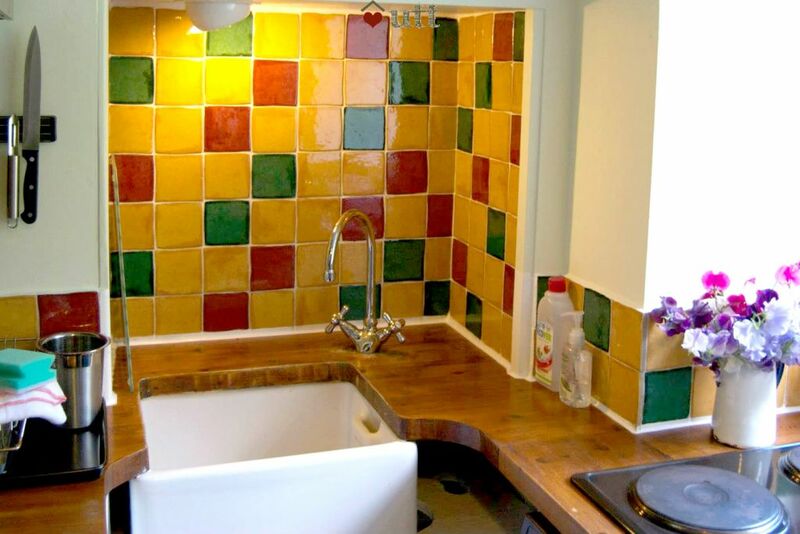 A lovely, cosy cottage, tastefully decorated with nice quirky, personal touches. The garden is a beautiful bonus, private, tranquil and gloriously scented. 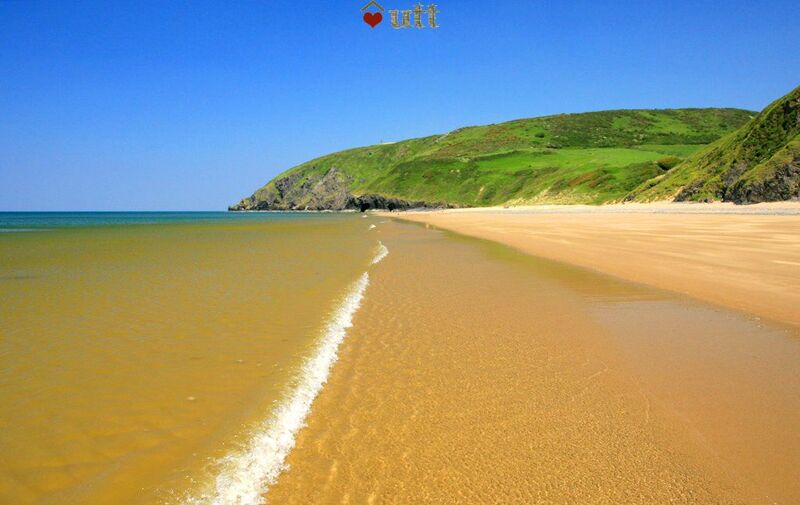 We only left the garden to take a 10 minute stroll to the stunning Penbryn beach. A wonderful holiday. 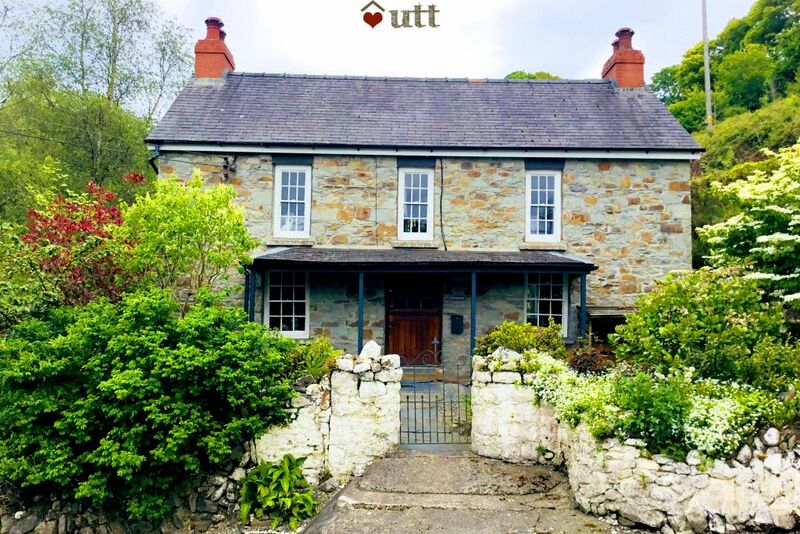 This is our 3rd stay at beautiful Penbont and will certainly not be our last. 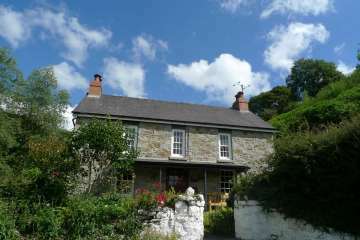 This lovely cottage is situated in the most stunning part of West Wales, close to the glorious beach and lovely walks. The gardens at the cottage are lovely to sit out in, and so peaceful. 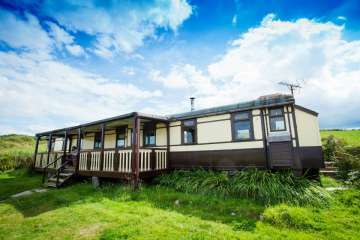 Thank you to the owners of this cottage, it's a dream! You could never get bored with staying here. Can't wait to return. This is a truly special place and one of my most favourite places ever.